MBBS is a dynamic medical field that evolves everyday. New therapies, ways, medicines, machines, researches, and theories are discovered everyday. China is the favorite destination for international students who want tostudy MBBS abroad. Most international students travel to China every year to study MBBS. Annually, the number of international students who travel to China to study MBBS increases by 20%. Prestigious medical colleges and students are also advancing in terms of knowledge and machinery to be able to always be on the same level. In order to guarantee the high quality standard of education for international students in China, the Ministry of Education, China has laid down some rules and regulations that the universities follow in teaching and accessing the international students. Most international students don’t have any idea of how MBBS is taught in China or the real situation. Most international students have the thought that since China isn’t an English speaking country,teaching MBBS in English mediumwill be impossible. Due to the fact that most of the items exported abroad from China are of low quality, most international students who haven’t traveled yet to China, think that the quality of education for international students in China, especially in English medium will be relatively low. But that’s not true. Below is the real truth of MBBS in China. China is one of the best countries in the world to offer MBBS to international students at a lower tuition fee but quality education. Prestigious universities and colleges in China, invite prominent foreign lectures from abroad mostly from the UK, US, Australia and Canada to lecture the international students of their institutions. Universities and Colleges in China that offer MBBS to international students, send their local lectures most frequently to medical conferences abroad. China as a country has invested and keeps investing a lot of money into the education sector to make it the best in the world. Colleges and universities offer quizzes, tests, researches, practicals and final exams to international students to keep them focused at studying the course. 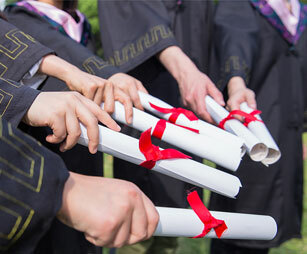 A specific total number of courses must be passed to proceed to the next level. International students who do not pass this total number of courses are expelled. Most universities and colleges have very strict rules that govern them. These measures are put in place so that international students will study hard and be accessed excellently. The truth aboutMBBS in Chinais that the universities and colleges have the facilities, resources and the environment needed to enable international students offering this dynamic course understand and study it well and pass on the knowledge in the field. China is the most patronized country in the world that international students travel to study MBBS.